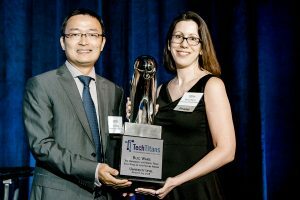 The Tech Titans Awards were launched in 2001 by Tech Titans, North Texas’ most comprehensive organization supporting technology. 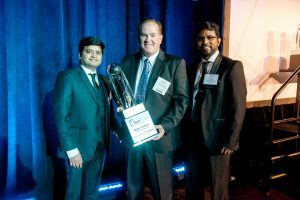 The prestigious annual contest recognizes outstanding technology companies and individuals in the North Texas area who have made contributions during the past year locally, as well as to the technology industry overall. 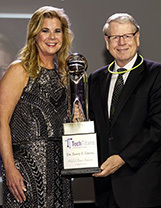 The Tech Titans Gala committee is a group of dedicated volunteers who organize the awards ceremony each year, and judges for the contest are drawn from a variety of disciplines in technology, leaders in the DFW area and past winners. FirstNet powered by AT&T is the country’s first nationwide public safety communications platform dedicated to first responders in times of need. Built with AT&T, in public-private partnership with the First Responder Network Authority, FirstNet is bringing public safety a much-needed technology upgrade. Bottle Rocket builds the highest quality connected lifestyle experiences for the world’s most discriminating brands. 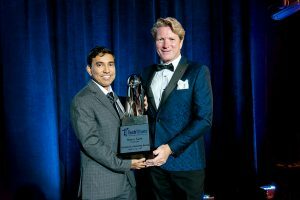 Rahul Saini is the system architect of the most complicated and advanced implant ever made to restore vision for blind patients with retinitis pigmentosa and advanced macular degeneration. He has multiple patents awarded/pending for this wireless, batteryless implant that is the size of a grain of rice. 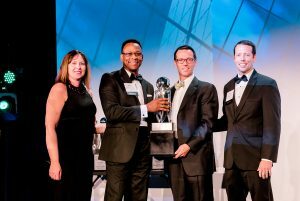 This award recognizes the fastest growing technology, media, telecommunications, life sciences and clean technology companies in the Dallas-Fort Worth Metroplex. This ranking is compiled from nominations submitted directly to Tech Titans and independent research using public information conducted by Crowe and Comerica Bank. 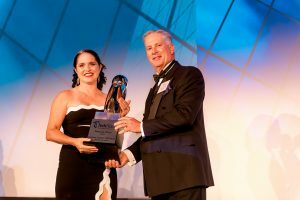 The Fast Tech awards recognize the fastest growing technology, media, telecommunications, life sciences and clean technology companies in the Dallas-Fort Worth Metroplex. 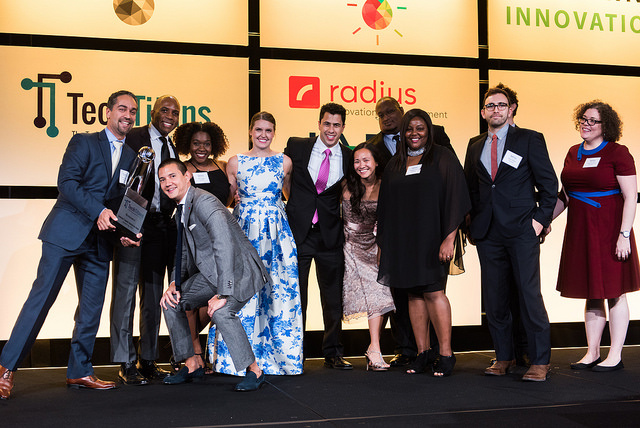 DBJ story Recognizes technical leadership, team building, creation and maintenance of a creative environment, and market awareness skills. 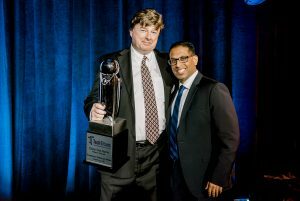 DBJ story Recognizes the Chief Information Officer for exceptional technical leadership that fosters the deployment of IT resulting in significant value for the company. DBJ story Recognizes a significant investment transaction occurring since January 2011 that impacts and delivers significant long-term economic prosperity and sustainable economic results for the Metroplex and improves the technology innovation investment climate of the region. The UT Dallas Seed Fund invests in startups founded by UTD students, faculty, staff and alumni. Created in 2017, the fund raised $350,000 in its first year. To-date, Seed Fund has invested $125,000 in four UT Dallas-affiliated early-stage startups. 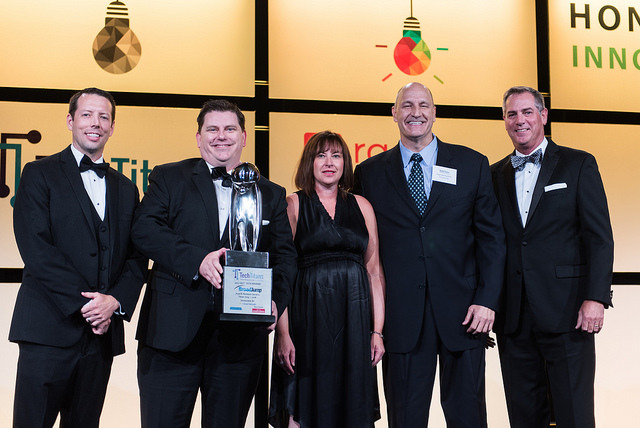 DBJ story Recognizes a company whose core business is not technology products/services for outstanding adoption and application of innovative technologies to successfully change and impact its business results. Callbox Storage, LLC has created and implemented a web platform that allows it to more efficiently store customers’ belongings and allows them more visibility into the items they’ve stored. Through the web application, customers’ items are tracked from pick up to facility and back again. Customers are also provided real-time visibility of items stored and the total volume stored. 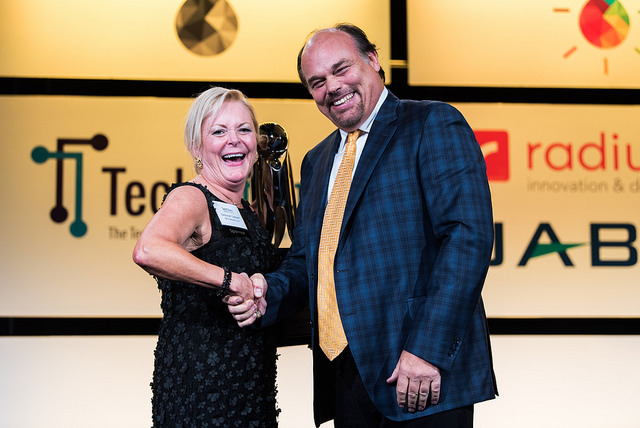 DBJ story Recognizes a technology advocate/champion for their outstanding leadership in assisting, advancing or accelerating the performance of technology companies and/or the technology community. Sym-Smith is a CEO, founder, investor, mentor, and advisor to multiple corporations and startups. He provides personal mentorship at multiple incubators, in-person training and financial assistance. David gives entrepreneurs/start-ups access to leaders who have the resources to support their business goals and the personal knowledge and experiences to educate entrepreneurs on what it takes to launch, manage and grow a successful business. DBJ story Recognizes educational institutions that encourage and support students in choosing engineering and technology-related disciplines as a preferred path. 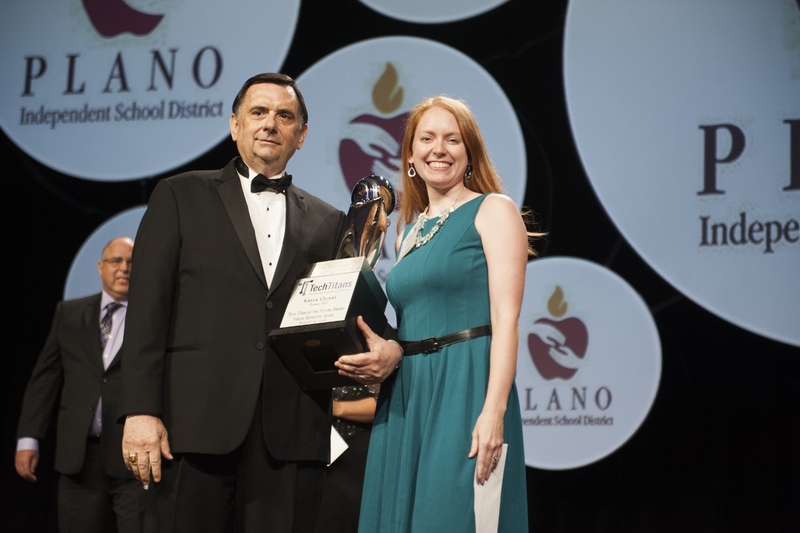 This award category spotlights DFW area higher educational institutions' tech-related curricula and incentives to perpetuate tech-related knowledge transfer. 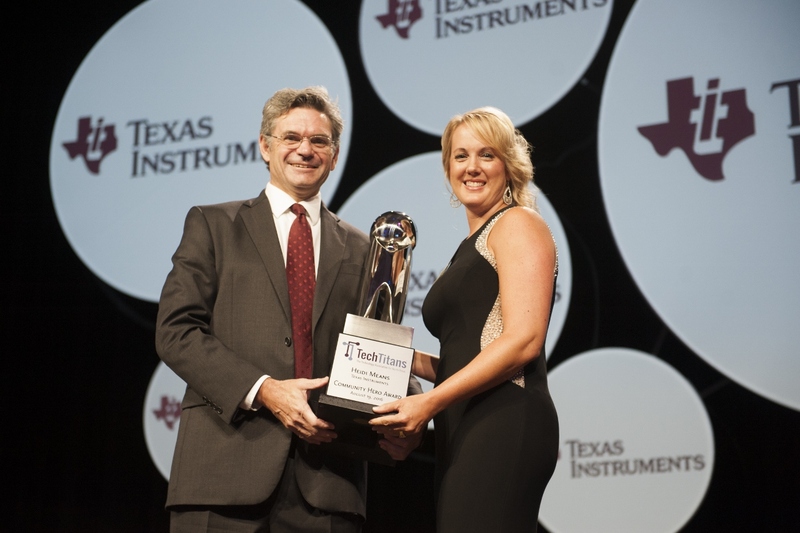 Dr. Renee Bryce is the founder of the Bug Catcher and Bug Wars software testing competitions that have engaged about 2,000 middle-school and high-school students, along with UNT freshmen to encourage them to pursue computer science as a major. 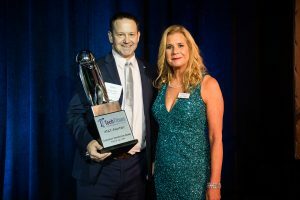 This award recognizes a visionary from the metroplex known for outstanding leadership in assisting, advancing and accelerating the performance of the technology industry and/or adoption of technology in North Texas. 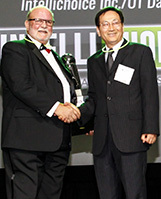 Charlie is considered a mentor and leader to CIOs not only in DFW, but around the world. 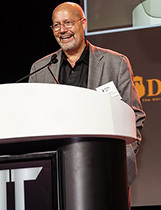 After being head of IT at Frito-Lay in the 1990s, he founded the Feld Group in 1992, which was acquired by EDS in 2008 in an $89 million deal. 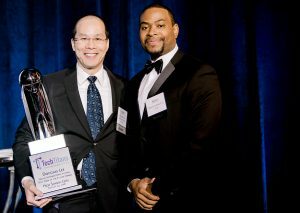 He has been a top advisor to Delta Air Lines, Burlington Northern Railroad, First Data Resources, WellPoint and FedEx. He continues to serve and advise the tech community through the Feld Group Institute. Brian leads a division that provides technology and information solutions to multi-national corporations, accounting firms, governments and other organizations. Under his leadership, the Thomson Reuters Tax and Accounting business has tripled its revenue from 485-million dollars in 2005 to 1.4-billion dollars in 2016. And he has executed 43 company acquisitions in over ten countries across the globe. Brian has a recurring column on CFO.com and participates annually in the World Economic Forum in Switzerland. 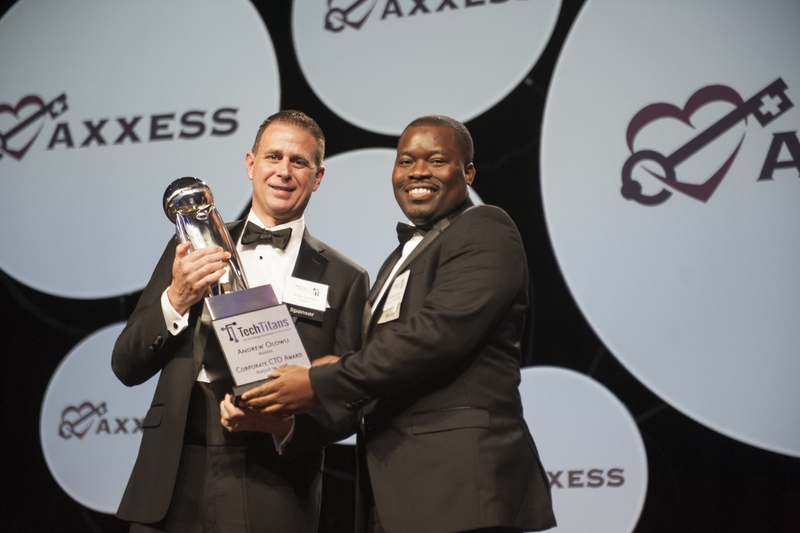 He has been recognized six times as one of the 100 Most Influential People in Tax and Accounting Today. 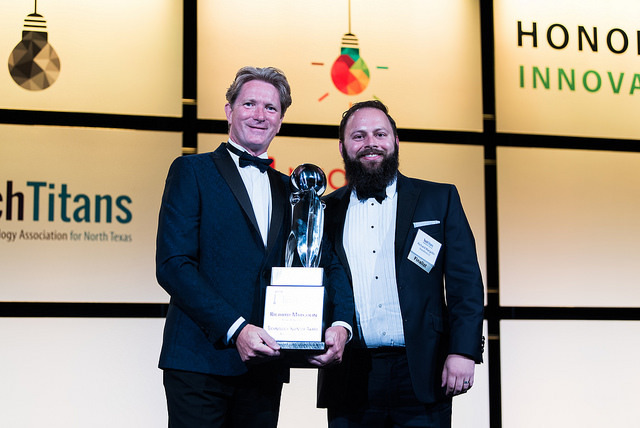 Dave has led Brainspace through 90 global installations of its breakthrough machine learning software in the E-discovery/Investigations space. 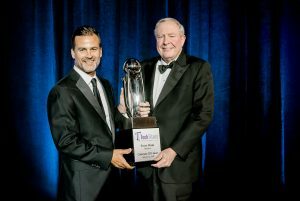 His unique level of understanding and commitment to leadership has not only built the company to what it has become today, but shaped the industry it serves. Capital One has simplified the car buying process with their online Auto Navigator financing product. Bloodbuy's revolutionary systems are addressing the needs of the nations’ blood supply through it’s cloud based platform. Richard Margolin's work in social robotics at RoboKind is disrupting traditional therapeutic treatment for children with autism. He has designed a humanoid robot named Milo that is fully capable of teaching social and behavioral skills that improve the educational experience for these special needs students. 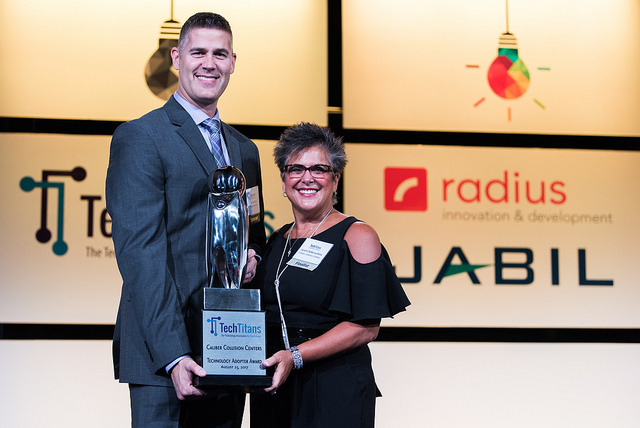 The Fast Tech awards recognize the fastest growing technology, media, telecommunications, life sciences and clean technology companies in the Dallas-Fort Worth Metroplex. In 2017, our #1 fastest growing technology company in Dallas-Fort Worth with growth of over 7000% is BroadJump, LLC. BroadJump delivers supply chain analytics that drive greater efficiency and enable hospitals and health systems to manage their supply costs on-demand. Michael leads the development of advanced estimating software for the commercial construction industry, including 5-D Building Information Modeling. His innovative approach to product development combines in-house expertise with a crowd-sourcing development model, incorporating input from industry practitioners. As it’s CIO and Digital Office, Suja transformed Kimberly-Clark’s technology organization from simply an order-taker into a true thought partner. She restructured technology by integrating systems, instilling a consumer-centered mindset and developing strong partnerships with company business units to enable a data-driven culture on a global scale. Bios Partners is a private equity and venture capital firm specializing in early seed and later stage growth companies in biotech, bio-pharmaceutical, and medical devices companies. With its experienced team of professionals, the firm is currently beginning to raise Bios Fund Two after seven new investments were made with its Bios Fund One. 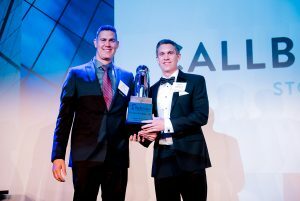 Lewisville-based Caliber Collision fundamentally changed their industry by embracing technology as a mission-critical business enabler. Implementation of cloud-based technology solutions drove rapid expansion, continuous cycle time reductions and improved customer and client satisfaction. 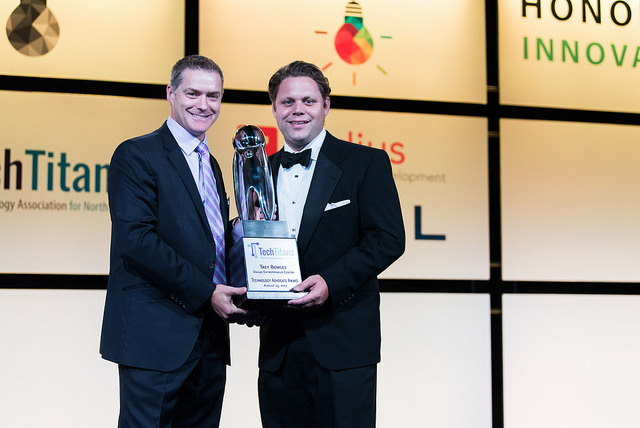 Drawing on his experience as an entrepreneur, Trey Bowles launched the Dallas Entrepreneur Center three years ago. Trey understands the importance of providing a cutting-edge ecosystem at The DEC that gives entrepreneurs and innovators the resources to succeed: education, training and community. The Young Women in Science and Engineering Investigators Program provides low-income students high school students with university training in scientific inquiry, exposure to STEM career paths and intensive mentoring by UTD graduate students. Ninety percent of the girls that finish this program enter college to major in a STEM-related field. For ten years Henry has taught math classes in Richardson High School and sponsored the after-school club. Students participating in his “RHS-Comp-Sci,” program has actively competed in programming contests, cyber-security competitions, and hackathons. Every senior graduating from the program has gone on to pursue a STEM-related degree at a major university. 2013 - Dr. Rolf Haberecht, VLSIP Technologies, Inc.
2009 - Bruce Ballangee, Pariveda Solutions, Inc.
2018 - Vanessa Ogle, Enseo, Inc.
2009 - Nina Vaca, Pinnacle Technical Resources, Inc.
2011 - Encore Vision, Inc.
2009 - Dr. Bruce Li, 21st Century Silicon, Inc.
2010 - Gurvendra Suri, CEO, Optimal Solutions Integration Inc.
2007 - Tegwin Pulley, Texas Instruments, Inc.
2014 - Azpen Innovation, Inc.
2013 - Prism Microwave, Inc. 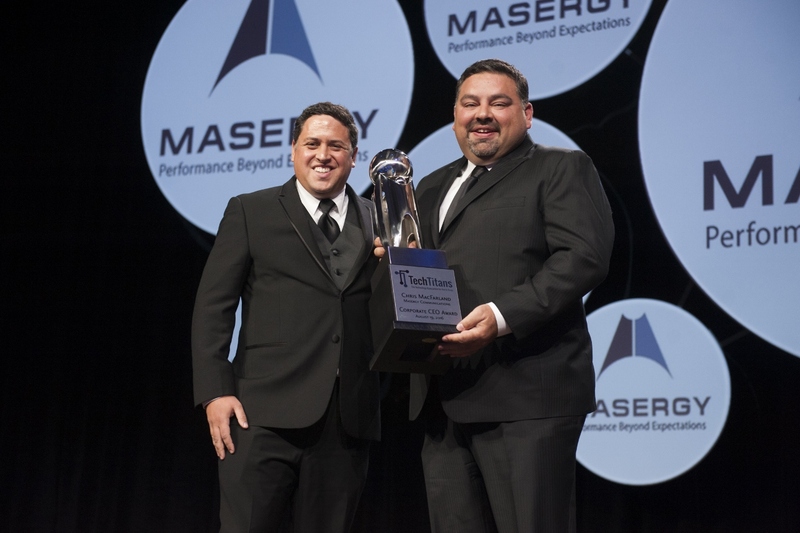 Recognizes CEO leadership within the technology and communications industry During MacFarland’s time at Masergy, the company has expanded its employee base by 380 percent, and is currently poised to add 120 to 150 employees this year. 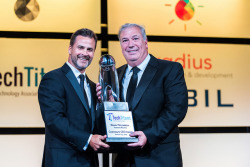 Under MacFarland’s leadership, Masergy’s annual sales have also grown by 300 percent and its profitability by more than 1,200 percent. Last year the company reached about 20 percent growth, and has achieved more than $1 billion in cumulative revenue. MacFarland’s work has allowed Masergy to become the largest independent global network platform provider. Greg is a serial entrepreneur who has been the market and technology visionary and the face of this software-enabled services company which helps more than 4,000 North American facilities optimize energy usage and reduce consumption. 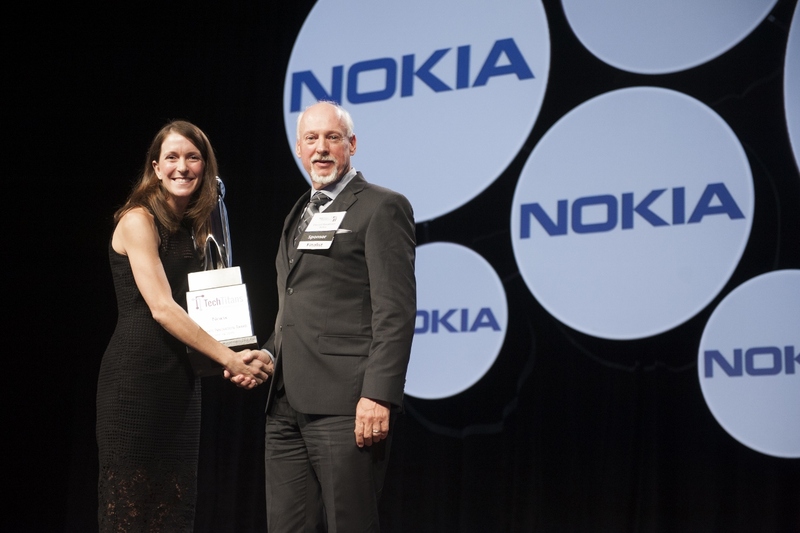 Nokia offers Fast Power Amplifier Switching which is the simple, lower cost solution to the problem of mobile device stations consuming power 100 percent of the time even when there is no traffic on the base station. 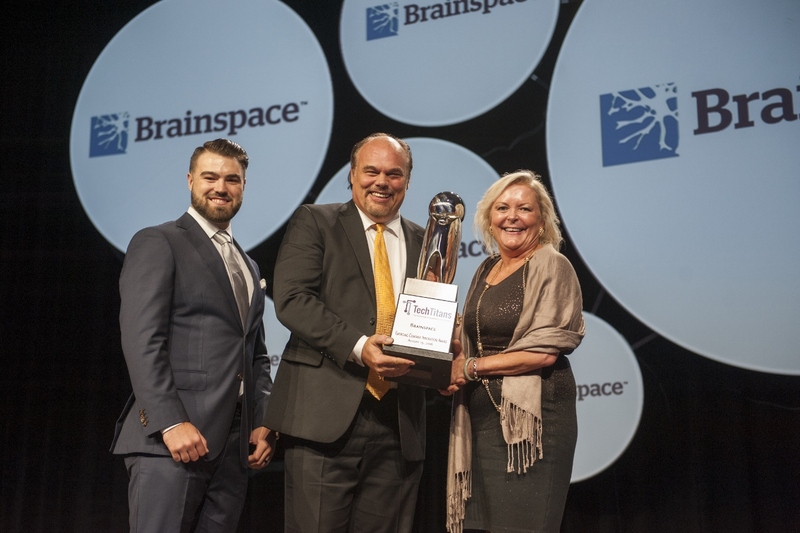 Brainspace excels at driving the value of big data for Fortune 500 companies with its patented technology that evaluates natural language and reviews up to two million documents per hour. Dasgupta invented a means to simplify chemical analysis with separation of individual components by chromatography. Applications are wide, environment to health care, semiconductor fabrication and law enforcement. 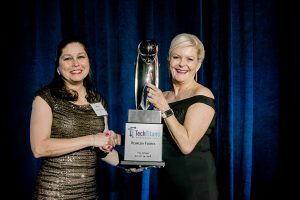 The Fast Tech awards recognize the fastest growing technology, media, telecommunications, life sciences and clean technology companies in the Dallas-Fort Worth Metroplex. This ranking is compiled from nominations submitted directly to Tech Titans, and independent research using publicly available information conducted by TravisWolff LLP and Comerica Bank. 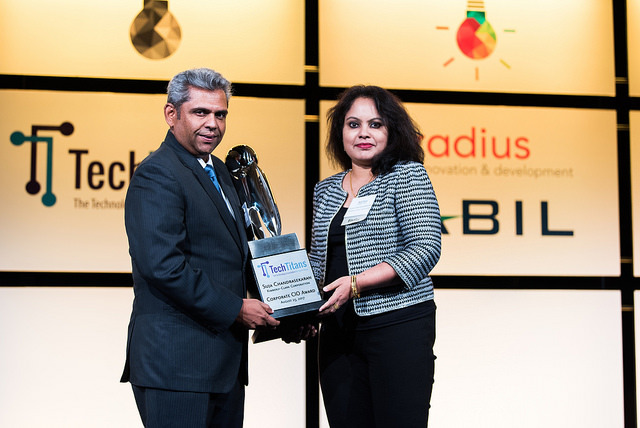 Fast Tech award winners for 2016 are determined based on percentage fiscal year revenue growth from 2013 to 2015. 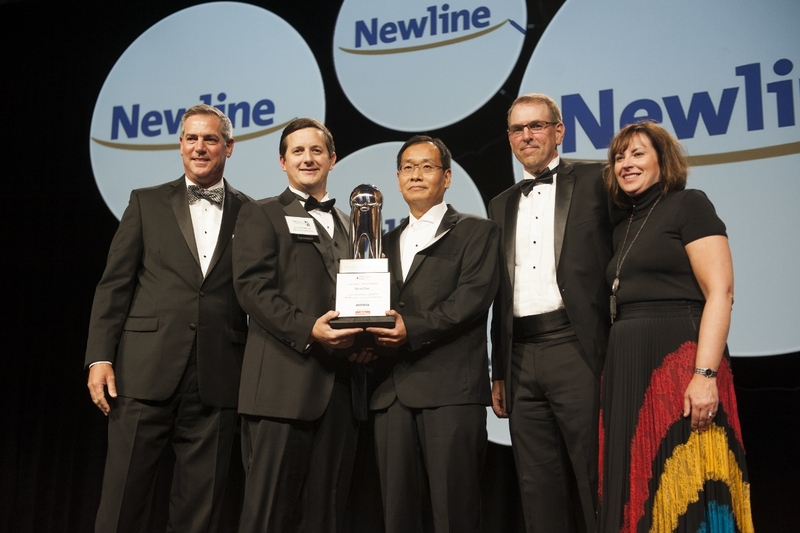 This year’s Fast Tech list is comprised of 25 North Texas technology companies, with Newline Interactive winning the coveted prize of fastest-growing company in North Texas, with a revenue growth of 570% during the last 3 years. Olowu’s collaborative team approach web-based and mobile applications are used by thousands of home health care organizations nationwide, allowing them to more effectively treat more than one million patients daily. 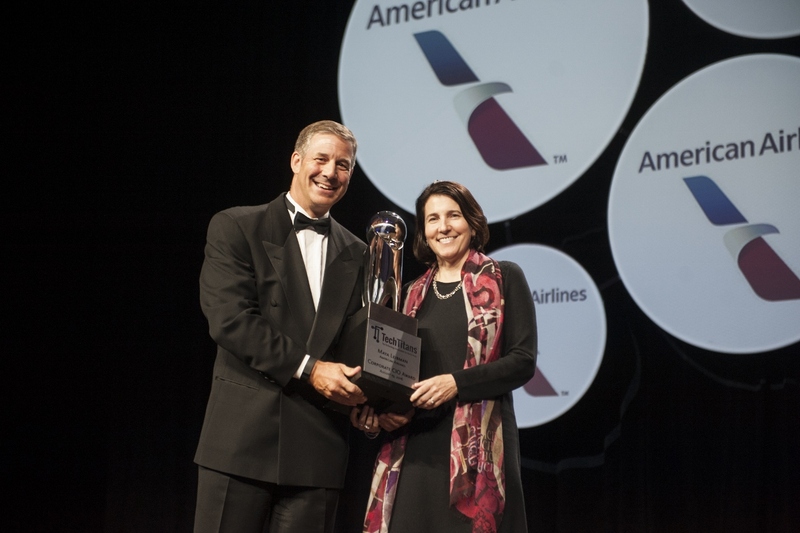 With the merger of American and US Airways, led the most complex, visible and ultimately seamless migration to one loyalty program in airline history, making sure customers were confident that their miles were safe and well-managed. 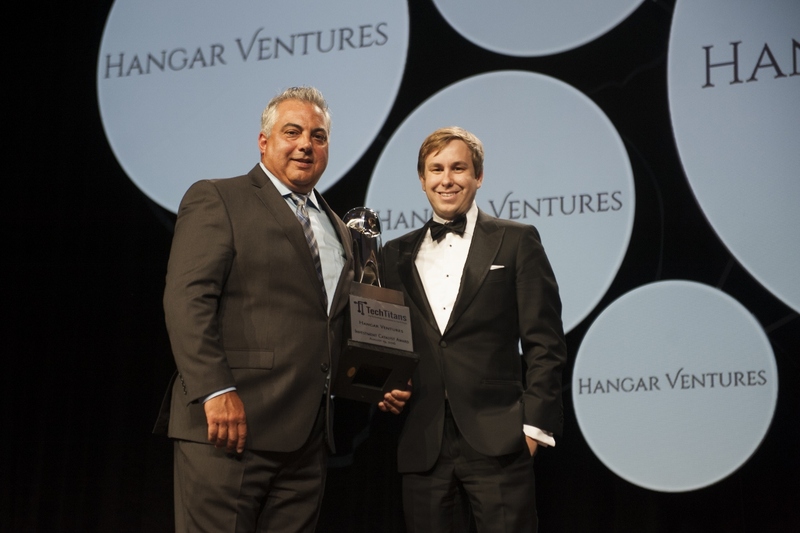 Hangar Ventures is a newly established Dallas-based venture capital fund focused on making early stage investments in North Texas technology companies. Its new $50 million fund bridges the gap in the region’s venture capital industry. Children’s Health uses predictive modeling and virtual health tools to highlight individual child health risks. Children’s Health reaches more children to provide needed care using tech. 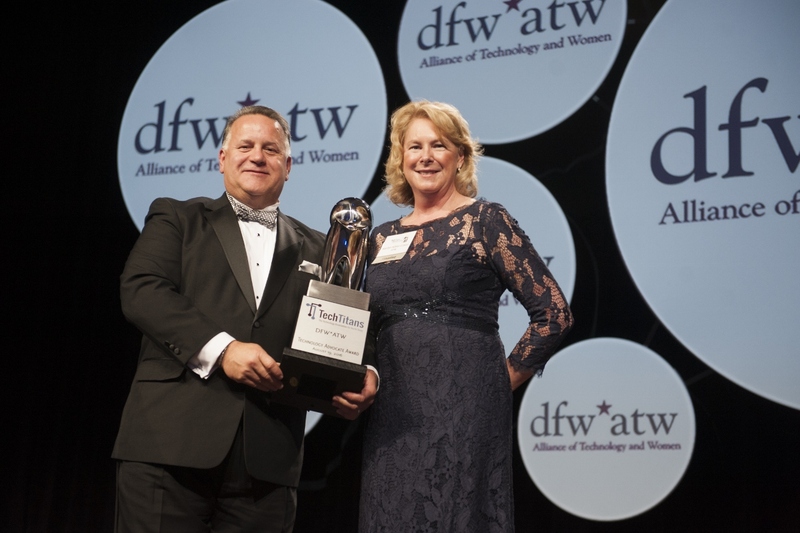 DFW*ATW, applies a three-pillar approach - educate, connect and mentor –to help women pursue and advance technology careers. 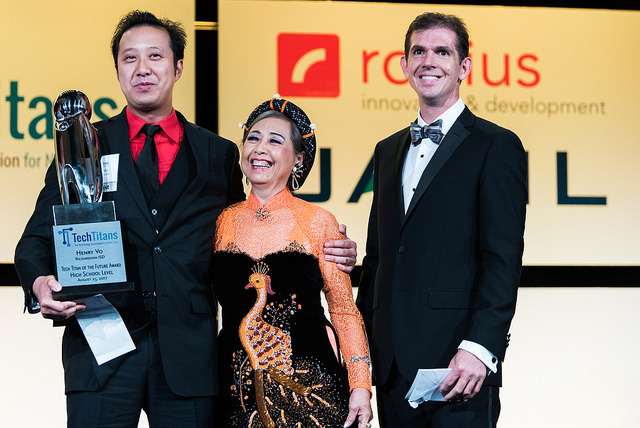 Recognizes an individual within the technology industry for their outstanding achievements in community involvement. Means is TI’s chair for the American Heart Association’s Go Red for Women and co-president of High-Tech High Heels, which helps close the gender gap in STEM efforts. ASSURE involves undergraduate students who create experiments with peer mentoring. The majority of ASSURE students – 87 percent – remain in sciences programs, exceeding national averages. Kevin Schug, professor and Shimadzu Distinguished Professor of Analytical Chemistry; Jim McGee, Senior Director Government Relations, Huawei Technologies (middle); along with Laura Mydlarz, associate professor and associate chair of biology. Olivas, a science teacher, recognizes students learn at different paces and from different methods and has incorporated different learning stations. Her instruction and questions reflect individual student differences, too. 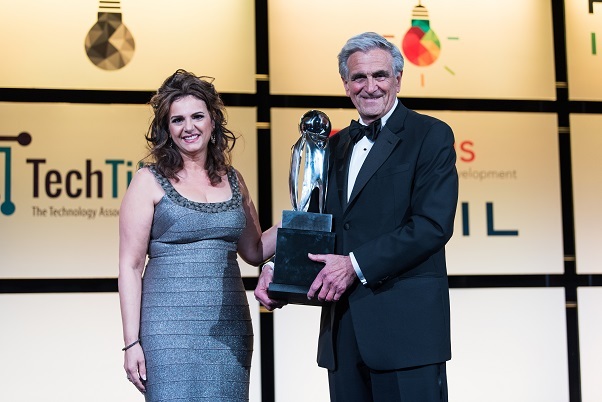 The winners for this year's Tech Titans Awards Gala, sponsored by AT&T, have been honored. Thank you for what you've accomplished for the North Texas tech community. 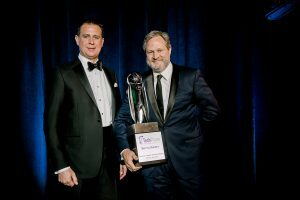 Honors a visionary from the Metroplex for outstanding leadership in assisting, advancing and accelerating the performance of the technology industry and/or adoption of technology in North Texas. During his tenure at UTD, the university saw unprecedented growth in acadamic curriculum, the building of campus facilities and raising resources toward earning top-tier university research status. 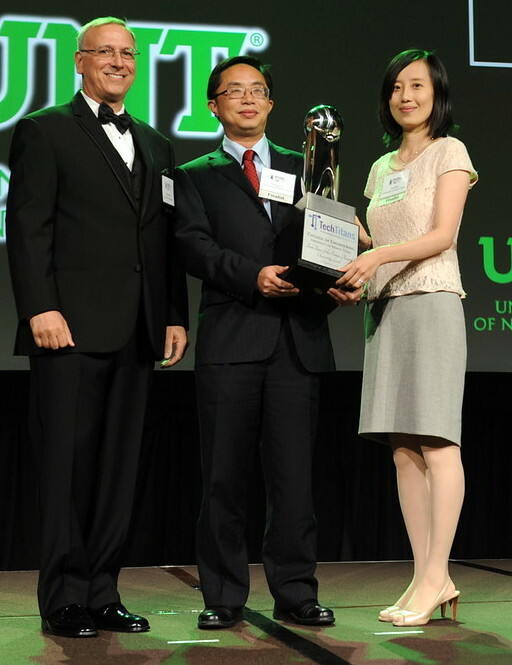 The university doubled its research expenditures to $100 million annually, adding 17 new degree programs, raised 360 million dollars in private funds, and won two national collegiate championships in chess. 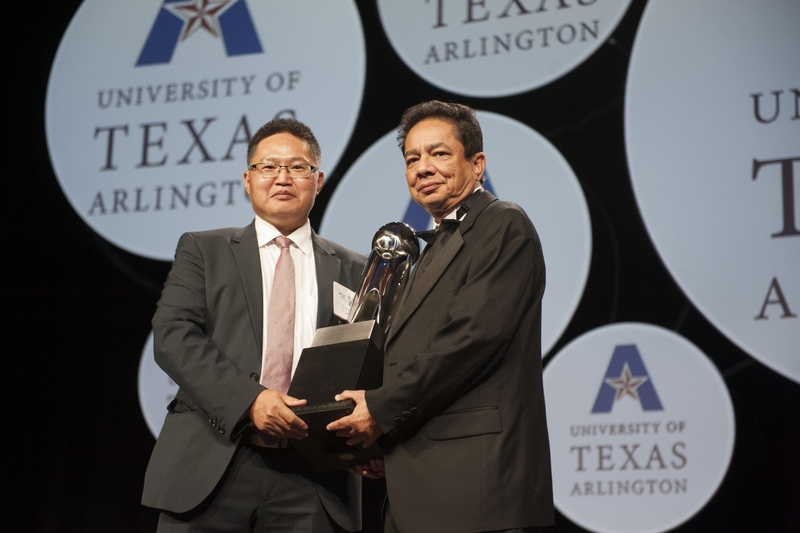 These accomplishments and his vision for UTD increased the student population from 14,000 to 24,000 students. Argent has facilities in eight states and two foreign countries with 105 employees and annual revenue of $230 million. Argent holds position 1025 in the Inc. 5000 list. 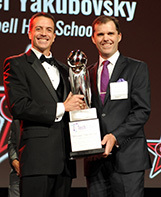 It also ranked #1 in SMU Cox's top 100 fastest growing privately held companies in Dallas in 2014. Orchestra Technology combined a compelling product portfolio with scalable operations to build a leading telecom company. 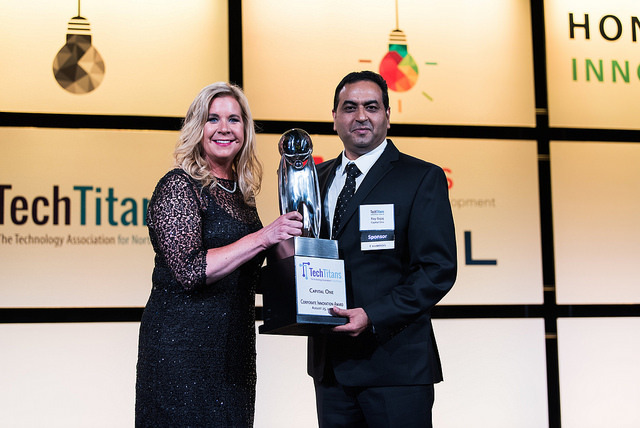 Anuj’s innovation and vision have built a platform and suite of products that increased operating efficiency, improved quality of service and improved customer experience to meet people’s insatiable desire for improved connectivity. Under her leadership, the team has built a robust ecosystem of tax and small business products for consumers, small businesses and accountants. These new products are being built using the latest technologies that are secure, seamless and deliver near-perfect experiences for the customer. 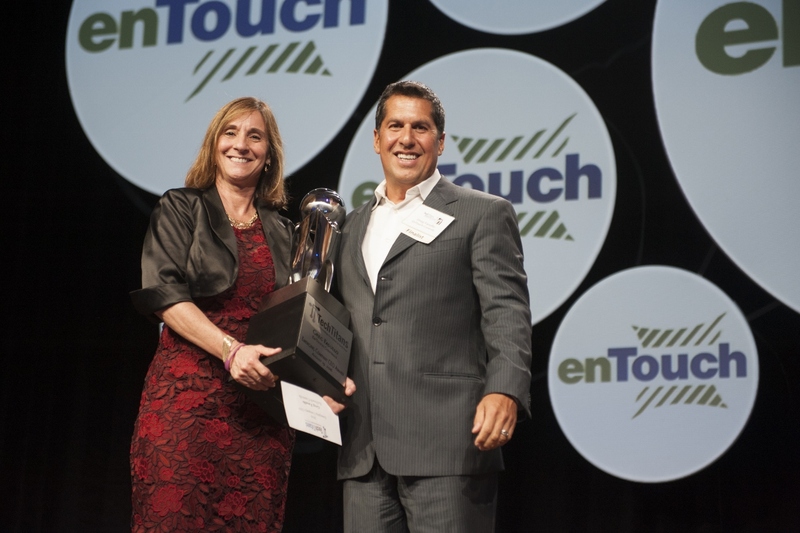 Pam was one of the first to shift the company’s focus from what technology ENABLES to the value technology PROVIDES in transforming the automation of business processes. 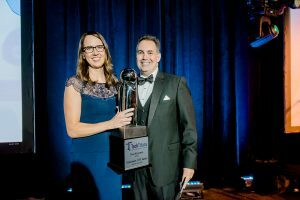 She has harnessed the power of technology through a series of innovative solutions that redefine the way customers interact with AT&T and the speed in which products and services are delivered. Qorvo is building the network of the future with its mobile, infrastructure and aerospace/defense applications enabling people to connect around the globe. Qorvo uses innovative technology and products to greatly improve power efficiency in today's data networks and battery-powered mobile devices. Ziosk® is the first entertainment, ordering and pay-at-the-table tablet for the restaurant market. The technology has given casual dining an edge by providing a streamlined experience of ordering meals while providing restaurant owners with a way to gain access to powerful consumer data that can be used to help influence operations, marketing and menu decisions. 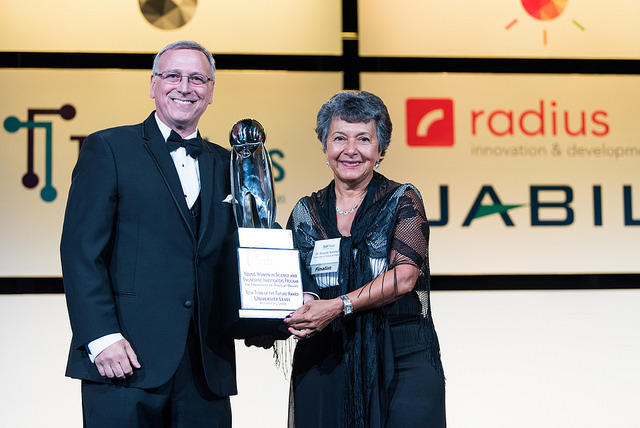 Ray co-invented the technology for making transparent, electrically conducting carbon nano tube sheets that have practical applications in the aerospace, electronic, and robotic industries. Texas Women Ventures was created by a group of women business owners and investors to narrow the gap in capital funding for women-owned businesses. During 2014 TWV invested 8 million dollars in emerging North Texas companies. All told, TWV has raised three funds and created a community of women investors that did not previously exist while offering a new source of capital to both new and existing technology companies. Artizone Dallas is an online farmer’s market and delivery service for customers seeking local products for their dinner table. Using a homegrown application suite, local farms, food shops and artisans manage inventory and sell their products on an online channel. In turn, clients can order and have fresh food delivered directly to their doorstep 24/7 in less than 48 hours. Intellichoice teaches math skills in libraries and neighborhood centers to underprivileged kindergarten through 12th grade students across North Texas. More than 217 IntelliChoice volunteers have opened up the fascinating world of mathematics to over 300 students. 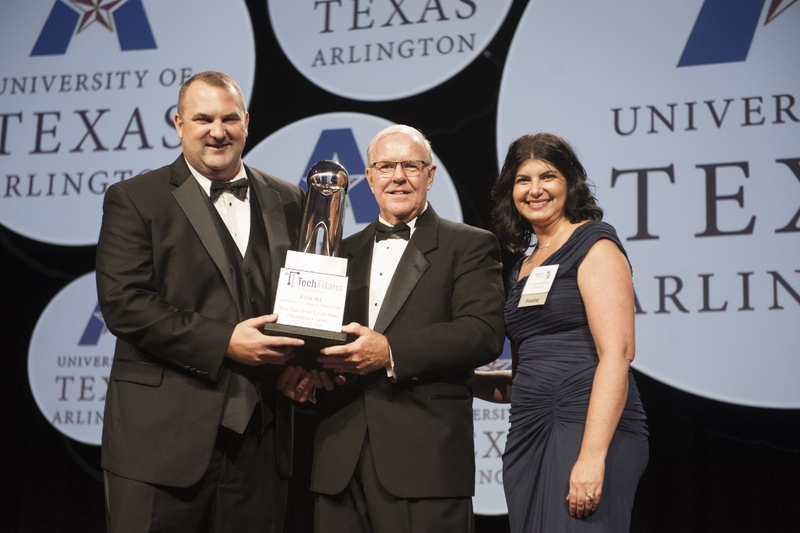 award category spotlights DFW area higher educational institutions' tech-related curricula and incentives to perpetuate tech-related knowledge transfer. The team created a drone-carried Wi-Fi communication network that supports emergency response missions. This on-demand infrastructure can quickly recover communications in the disaster area where traditional forms of communication often fail. In Michael's pre-college engineering program, Students work on design based projects with after school teams, guest speakers, college admissions presentations and a senior capstone project. 100 percent of his high school graduates have gone on to post-secondary educational programs with 90% entering a STEM field. 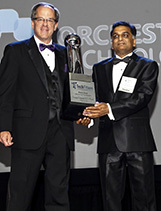 Part of the Tech Titans Awards Gala is the Fast Tech awards. 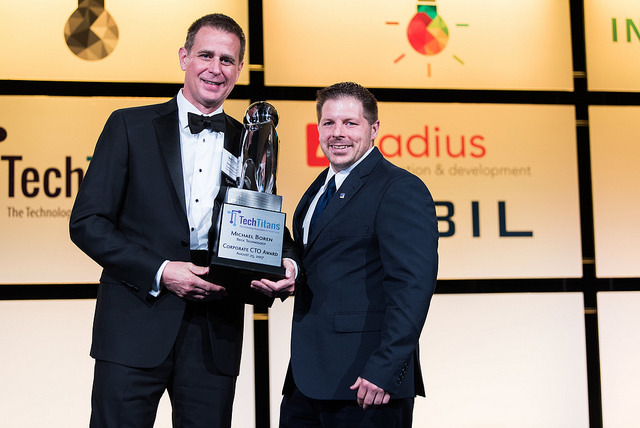 The Fast Tech awards recognize the fastest growing technology, media, telecommunications, life sciences and clean technology companies in the Dallas-Fort Worth Metroplex. This ranking is compiled from nominations submitted directly to Tech Titans, and independent research using publicly available information conducted by TravisWolff LLP and Comerica Bank. 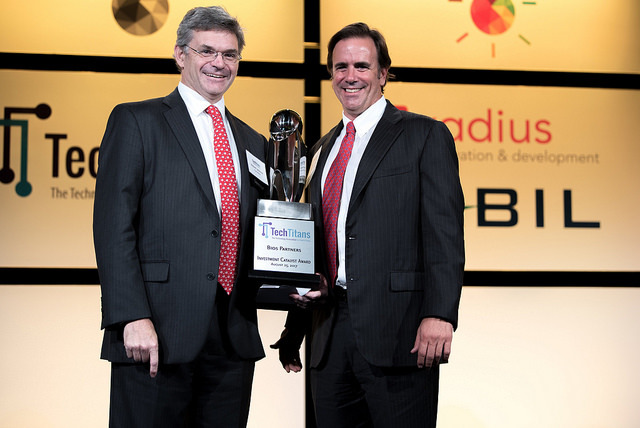 Fast Tech award winners for 2015 are determined based on percentage fiscal year revenue growth from 2012 to 2014. 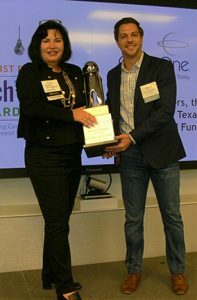 This year’s Fast Tech list is comprised of 25 North Texas technology companies, with 4WEB Medical winning the coveted prize of fastest-growing company in North Texas, with a revenue growth of 2190% during the last 3 years. 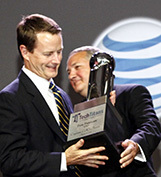 Besides the MTBC and title sponsor AT&T, other supporters of the Tech Titans Awards event include Ericsson, Alcatel-Lucent, Fujitsu Network Communications, Huawei, VLSIP Technologies, HumCap, Deloitte, Pearson Partners, Consolidated Communications, Cisco, Amdocs, ZTE, CyrusOne, TopGolf, Freeman, Masergy and the Dallas Business Journal. Travis Wolff and Comerica Bank Life Science are sponsors for Fast Tech.